Normal times are Monday to Friday 9:30-10:30am and 1:30-2:30pm. Closed on Bank Holidays. It is £2 for each child and £1 for each adult. So one adult and one child costs £3. Playgym is an opportunity for the under 5’s to come into the gym for their first taste of gymnastics. Seeing such a large space can be daunting for any youngster but we feel that providing a fun environment for children to play and interact with others introduces them gently to what could be a sport for life. The gym is open to any child under the age of 5 years old to come with an adult to supervise them. This session is all about fun so there are coaches around to supervise but not to interfere with a childs natural play. The gym gives an ideal setting to provide a safe and soft play area with the usual gymnastics equipment but also with slides, bouncy castle, trampoline, cars and many other climbing and adventure soft play aparatus. It is a chance to play in a warm environment on stimulating apparatus for a very reasonable price. 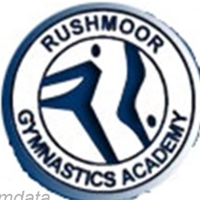 But more importantly it is the first stepping stone to introducing your child to the exciting sport of gymnastics. This is one sport that can provide everything to set your child up for life. They will learn skills that will help their balance, co-ordination, strength, power, poise, flexibility and will help build any childs character and give them their own special confidence.